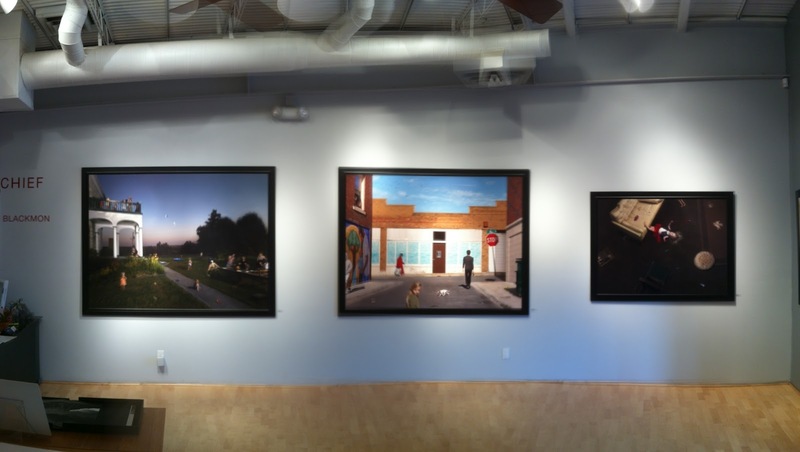 This Friday, July 13th photo-eye Gallery will host a artist reception for Julie Blackmon in honor of her new exhibition Summer Mischief. If you are in Santa Fe we invite you to drop by the gallery between 5:00-7:00 to meet the artist. This exhibition continues through September 16th. Blackmon continues to produce fantastic images of her children and family members within their own domestic landscapes. Inspired by classical paintings, Blackmon’s photographs utilize classical compositions, which are then mixed playfully with carefully placed everyday items – evidence of contemporary culture. Blackmon’s photographs are humorous while touching on art history and personal and popular fictions. This exhibit will include several recent large-scale photographs up to 60x80 in. investigation into the nature of time, light, space and gravity. If you will not be able to attend the exhibition works by Julie Blackmon and John Chervinsky can be viewed at www.photoeye.com/julieblackmon and www.photoeye.com/johnchervinsky.